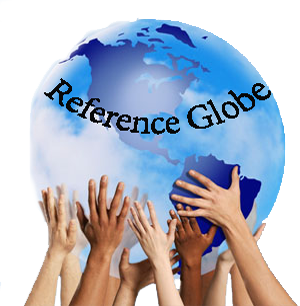 We, at referenceglobe.com, are committed to respecting your online privacy and recognize your need for appropriate protection and management of any personally identifiable information ("Personal Information") you share with us. By registering or by using this site, you explicitly accept, without limitation or qualification, the collection, use and transfer of the personal information provided by you in the manner described in this Statement. The Site contain links to other web sites over which we have no control. Referenceglobe is not responsible for the privacy policies or practices of other web sites to which you choose to link from this site. → Third parties provide certain services available on www.referenceglobe.com. It may provide information, including Personal Information, that collects on the Web to third-party service providers to help us deliver programs, products, information, and services. Service providers are also an important means by which maintains its Web site and mailing lists. The site will take reasonable steps to ensure that these third-party service providers are obligated to protect Personal Information. → You can also play an important role in keeping your personal information secure, by maintaining the confidentiality of any username and password. Please notify us immediately if there is any unauthorised use of your account by any other internet user or any other breach of security. → We provide mechanisms for updating and correcting your personally identifying information for many of our services. For more information, please see the help pages for each service. → We take appropriate security measures to protect against unauthorized access to or unauthorized alteration, disclosure or destruction of data.We restrict access to your personally identifying information to employees who need to know that information in order to operate, develop or improve our services. → We limit access to personal information about you to employees who we believe reasonably need to come into contact with that information to provide products or services to you or in order to do their jobs.